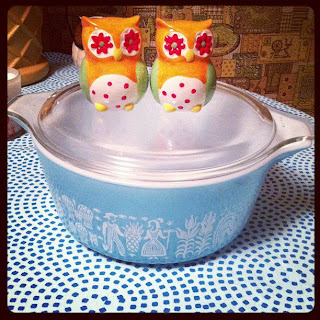 Lovely 2 Q. butterprint Pyrex sent to me by my amazing Mom. Also some super cute salt and pepper shakers. 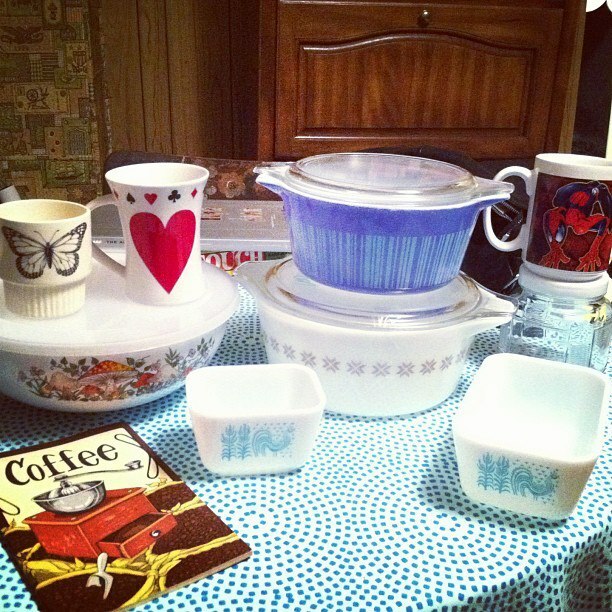 When on a little thrift day with some friends. It was really a great day. I picked up some Pyrex,as well as a few other treasures. 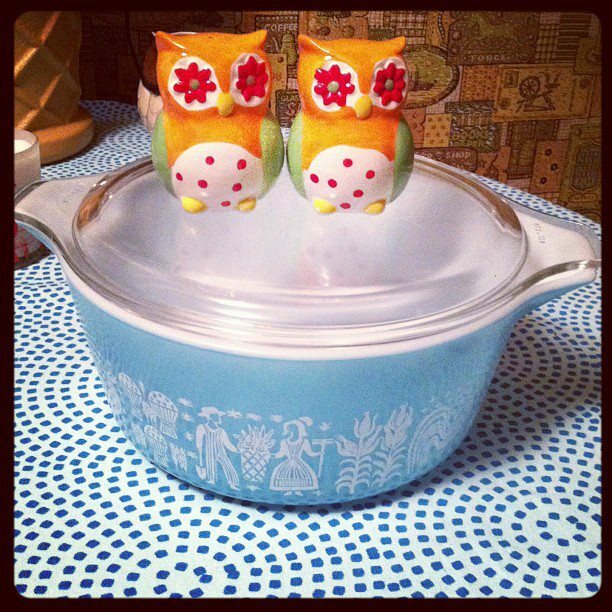 Totally excited about that barcode casserole I found for $4.00!! What a total score.